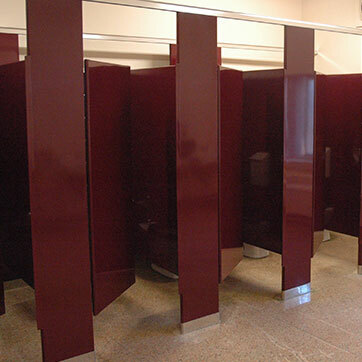 Locker & Toilet Partition Manufacturer | Mitchell Division 10 Ltd.
Mitchell Division 10 Ltd. is a leading manufacturer of quality lockers and toilet partitions. MD10 fabricates standard corridor lockers as well as custom lockers specific to your project needs. We manufacture and distribute a complete line of toilet partitions offering a wide selection of materials and product finishes. With over 30 years of experience, our team provides continuity for your project, from concept to completion. Lockers are fabricated within our facility offering customers a variety that includes: Elite Lockers (Standard), Legacy Lockers (Heavy Duty) and Custom Lockers. 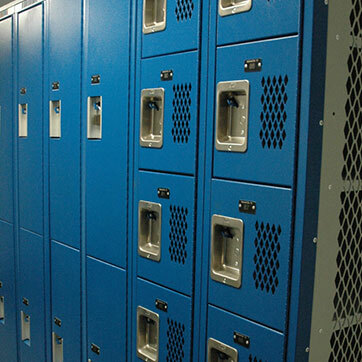 Our lockers are designed to meet your project specifications. 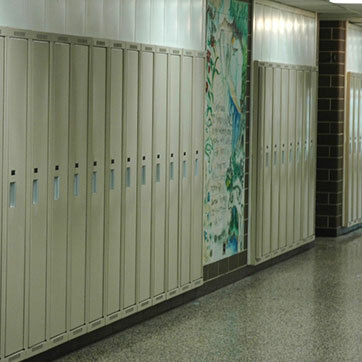 New locker fronts provide an economical alternative to the replacement of damaged lockers. 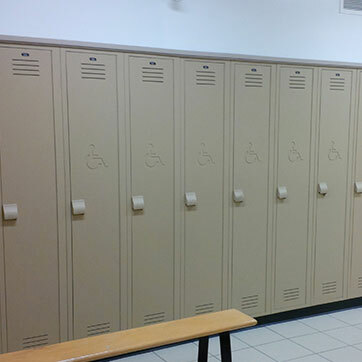 We offer full locker services, which encompasses repairs, refurbishing, painting, and locker maintenance. Services are available as required. We supply and install a full range of toilet partitions made from materials that include: powder coated metal, stainless steel, plastic laminate, solid phenolic, and solid plastic. Our standard line includes: stainless steel continuous hinges, full length aluminum brackets, and continuous privacy doorstops, with an anti-graffiti finish.